While emotions are expected, it is important for you to balance them with knowledge that as an asset class, real estate provides the opportunity for high returns in environments of low interest. Real estate also offers diversification from a more traditional stock portfolio and significant potential for long-term appreciation. However, another benefit goes hand-in-hand with real estate investment. Because of technology, there has been a dramatic change in where and how people invest. Today, all investors, regardless of skill, age, or location, can acquire land, homes, and commercial real estate using remote investing. Initially, crowdfunding was responsible for the wave of remote real estate investing. People of all ages, various wealth levels, and even those with risk profiles were able to invest in real estate with as little as $5,000 down. In support of this type of crowdsourced investing, a combined value of $2.6 billion worldwide was spent by more than 200 firms. Although crowdfunding helps novice investors get started, there are potential risks. For one thing, you have no way of knowing if the interests of the majority owner line up with the interests of the crowdfunded portion. In addition, there are tax liabilities based on income that are charged to the investor who has no receipt of cash flow, dealing with the new capital requirement, or with a lack of a secondary market for liquidity purposes. Sadly, investors can lose a fortune very quickly. 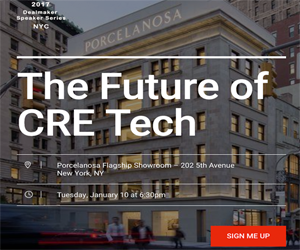 Because crowdfunding models have grown more complex, some of the shortcomings are being addressed by a new wave of real estate technology disrupters. As such, investors have better protection while building wealth. The good news: Real estate technology continues to improve consumer benefits. Thanks to companies like HomeUnion and OwnAmerica, investors can purchase an entire single-family home or, if preferred, create a portfolio of many homes, completely customized to meet specific investment needs. As an example, one investor can maintain a portfolio of several homes that focus on cities with high cash flow while another investor chooses completely different locations that offer both cash flow and appreciation. For the next wave of funding platforms, the primary difference is full support for real estate ownership. Of course, there are other benefits to consider, such as tax breaks for being a homeowner, as well as investment guidance. The bottom line is that investors have full control and authority over every decision. Overall, buying real estate properties remotely is hassle-free. With advances in real estate technology, consumers will continue to benefit even more. One thing that no one can deny is that with the arrival of new platforms, real estate as a hyperlocal business has been dramatically changed. With advancing technology, you can enjoy hands-off investing, which is uninhibited by geography and less stressful than property management.